Whats App making a wonderful update to its application, the new feature status came. it’s already available in hike from long long ago but now it’s totally improved and came with the Whats app. 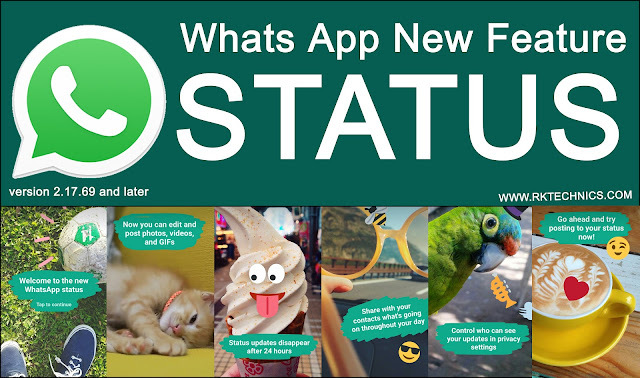 This feature is useful to update your present status on Whats app it will be seen with your friends for example to send greeting for a festival simply you put a story with the photo or text you can express your greeting with your friend and you have a wonder option that is you can know how many members saw your status. This short stories features have lot of uses, In the social networks almost all the networks have this type of stories features like Instagram, Snap chat, Hike etc. Till now Whats App has been only a facility to simply type and read messages and type some more and send and share the photos and videos that’s it. Not scroll endlessly through streams of other friend’s content. Status will change the use of the whats app. Now it is open door to business also to advertise something new to the whats app users or friends. 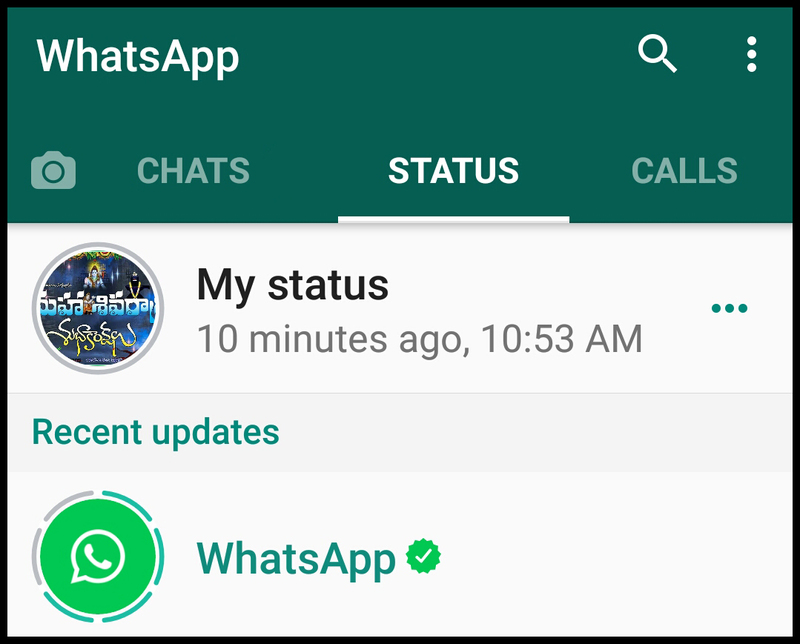 In the whats app status menu you’ll also see updates from other friends and family. And wonderful option to Friends can reply to the new “status” by tapping the reply button, that will be also sent as a new Whats App message in the whats app.